When freelance photographer Chris Johnson climbed into the passenger seat of a borrowed Honda Civic and set off with his brother Peter to see the Southwest, he thought he was in for a journey of at most a few thousand miles. He had no idea. In the summer of 2011, Chris and Peter set out from San Antonio, Texas. Their destination was their hometown of Seattle, Washington for an annual family vacation. 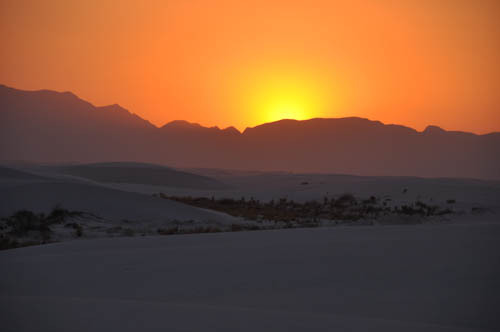 On the way, they found themselves looking out over the snow-like dunes of White Sands National Monument, New Mexico, with the sun sinking behind the San Andres Mountains. Chris pulled out his camera. “You should do a photography book,” said Peter. Between towns, tourist stops, and national monuments, the brothers had been passing time by listening to podcasts about religion and atheism. Though Chris was not religious himself, the topic was a longstanding interest; he had minored in religious studies in college. Now, his brother’s nudging fused in his mind with the podcasts and the intense power of the landscape. So many people thought that the awe and wonder he was experiencing required religion. What if he created a book that showed otherwise? Two years later, Chris’s Southwestern excursion has become a journey of over 75,000 miles. His book, A Better Life: Joy and Meaning in a World Without God, is due out in January and comprises portraits and interviews with a hundred atheists from across the U.S., Canada, and Western Europe. 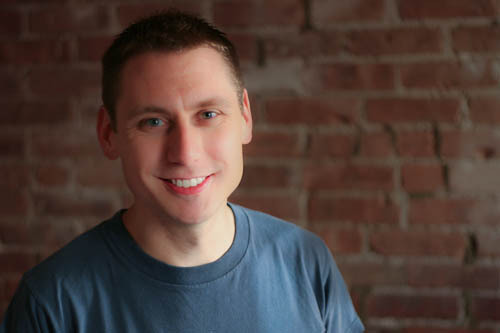 In this interview he discusses the experience and how it changed him. You came home from your trip and picked back up the pieces of an ordinary life. What happened next? 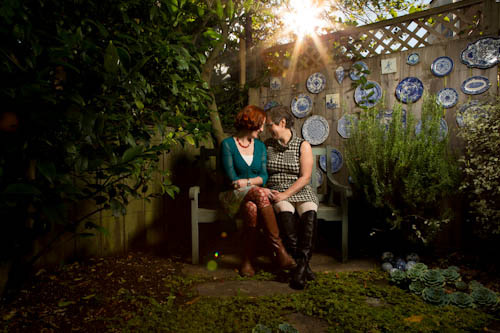 CJ: I was doing freelance photography, just going about my life, but the idea kept coming back to me. I pictured an art book, one that could sit on your coffee table. Someone might come into a house and pick it up and read a single page. I pictured something that might make religious people reconsider how they think about atheists. (Take, for example someone like Oprah. We all heard about her comment.) I pictured something that might change how atheists think about their own lives. Then I came across Kickstarter, and I thought, “Ok, this completes the puzzle.” So, I put it out there. CJ: In the end, it just took off! But it took a lot of work to get the word out. I wasn’t involved in the secular or atheist community at all. I didn’t know anybody. I just emailed people I’d never met and said, “Do you want to be in this book? Will you help me publicize it?” Some were hesitant because they didn’t know who I was. Maybe they thought it was a prank or I was pulling a scam. People in the atheist/skeptic community are, well, skeptical. I had to convince them I was legit. But it happened. And you hit the road. CJ: I started at the end of June 2012 and just finished all of the shoots this past September. It was an incredible journey but I had a lot of support. My father is a liberal Christian who has always let us make up our own minds. My mother is non-religious. So, my family was very supportive of my drive to do this book. I also have many friends who are religious and have encouraged me throughout the process. For example, one of my Catholic friends was in grad school at Notre Dame, and when I was in Chicago for the book, he drove up the two hours from Indiana so we could have dinner and talk about how the project was coming along. How did you find the 100 people you interviewed? CJ: Some people I knew of, like Dawkins, and had read their books or seem them lecture before. Some were recommended to me. One time I was watching the CBS news magazine, 60 Minutes. 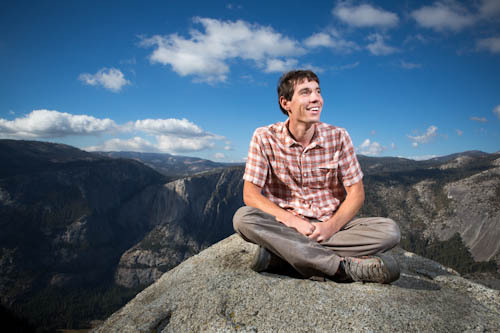 There was a segment on extreme sports, and they featured a young guy named Alex Honnold who is one of the greatest free-solo climbers in the world (meaning he mainly climbs without ropes). And I thought, “Wow, if this guy were an atheist he would be great in this project!” I ended up going out to Yosemite National Park to meet with him. Yosemite is one of the most beautiful places in the country. What have these 2 years been like? CJ:. My travels took me all over the U.S, Canada, U.K. and Germany. 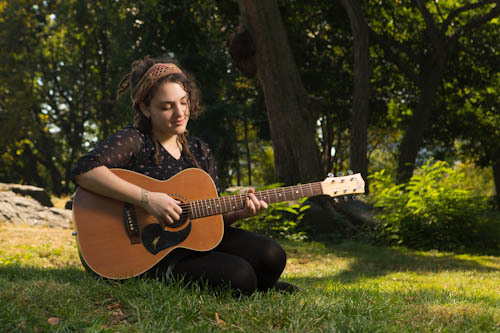 I did shoots in a wide range of places: from swimming in San Francisco Bay, to the English Countryside, to small towns in the Midwest, to Central Park here in New York. I would have loved to travel to other continents but I didn’t have the resources. Maybe the next book [laughs]. I did, however, try to include people from many different backgrounds and experiences. I wanted to show the diversity within the atheist community. I pictured something that might make religious people reconsider how they think about atheists. I pictured something that might change how atheists think about their own lives.It was a huge challenge. I spent months and months traveling to places I’d never been, and it was just me doing all the logistics; arranging travel and hotels; how I get from A to B, etc. That being said, it was wonderful, connecting with all these people from all walks of life, for example: joining in a Kurdish celebration for Houzan Mahmoud’s 40th birthday in London, spending the afternoon with Julia Sweeney and her daughter in Chicago, or having lunch with James Watson. Each one of them welcomed me into their homes and lives and introduced me to the people, places, experiences, activities and ideas that bring them joy. Are there memories that particularly stand out? CJ: One time that sticks out was a moment I shared with illusionist James “the Amazing” Randi. I was at his home in Florida, and after our shoot I called a taxi but they told me it would be 45 minutes. Randi proceeded to take out an enormous scrapbook, and while we waited he flipped through this book of photographs and clippings from his life. He told me stories and explained the photos. It was incredible to be able to sit down with someone like Randi (who is 85 years-old) and have him tell me about his life. CJ: You know how once in a while we have conversations with friends or family about—We each have this one precious life—What matters? I was having that conversation every day with people from around the world. A couple months into the trip I was on an airplane and it really hit me. I found myself thinking about my mortality, my relationships with other people, the good things I’ve done as well as the mistakes. It made me acutely aware of making my own life better, try to enjoy the moments more and reflect on my own behavior and choices. I’m someone who has dealt with depression in my life, so doing a project that focuses on joy is personally relevant. Are there particular perspectives that you have claimed as your own? CJ: People who believe in an afterlife say things like, “If this is the only life you have why don’t you just look out for yourself? Why don’t you just go kill everybody?” For me, if this is all we have -- this brief moment of time together -- then the experiences are that much more important because they are so limited. Living fully means trying to savor the moment. It means realizing that just because all things end doesn’t mean they weren’t worth doing. So how do you, personally, find joy and meaning in a world without gods? I get joy and meaning from many aspects of life. My relationships with those around me mean a great deal, and I’m lucky to have a supportive family and wonderful group of friends. Simple things like going to see a musical or watching a film can fill me with euphoria, as can traveling. For example, I remember hiking up Arthur’s Seat in Edinburgh in the rain to visit the ruins of St. Anthony’s Chapel. I found myself standing alone and wet, immersed in history and beauty, fully present in the moment. It was unforgettable. 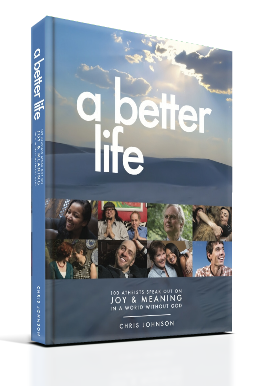 A preview of Chris Johnson’s book can be found at A Better Life (www.theatheistbook.com). What do we mean by a Primitive Belief? God paid for, and cooked my Thanksgiving Dinner !